CD hubs, also known as CD buttons or dots are used to attach a CD or DVD to brochures, direct mail, greeting cards and other printed literature. Use CD buttons as a cost effective way to combine media with a hard copy manual, informative mailer, photo album or other promotional material. Permanent fixture | Adheres to paper, plastic, SBS board, cardboard and vinyl. CD/DVD hubs are provided kiss cut in rolls or sheets. 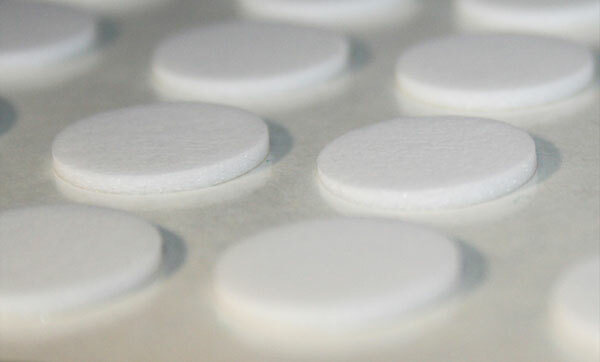 Most of our foam and sponge materials can be kiss cut to use as CD and DVD buttons. Materials are supplied with an aggressive rubber based adhesive for convenient adherence to a variety of surfaces.